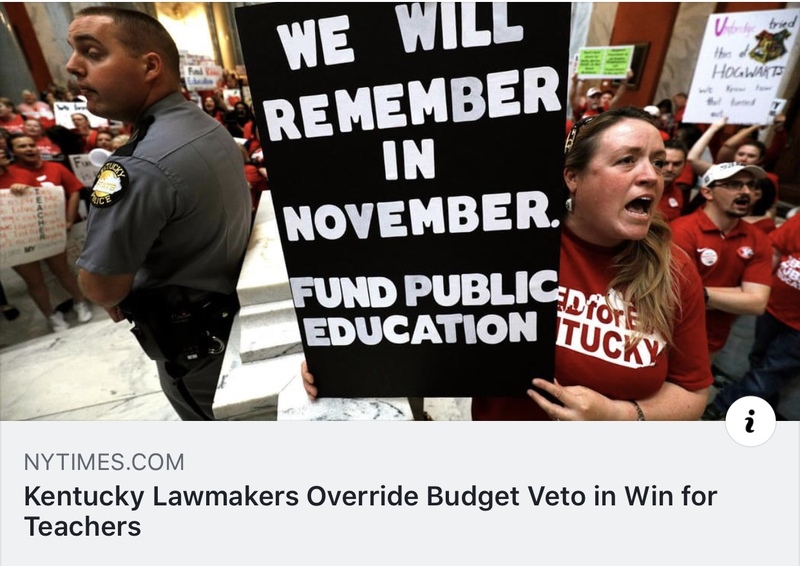 Earlier this year the State of Kentucky voted to apply a 6% sales and use tax on just a handful of services. I’m sure those services were the ones with the least amount of lobbyists, although I could be wrong. I have no idea who has lobbyists or how many they have. What I do know is that it’s pretty hush hush on how this list came to be. The sales and use tax is part of a plan to raise revenue for teachers. 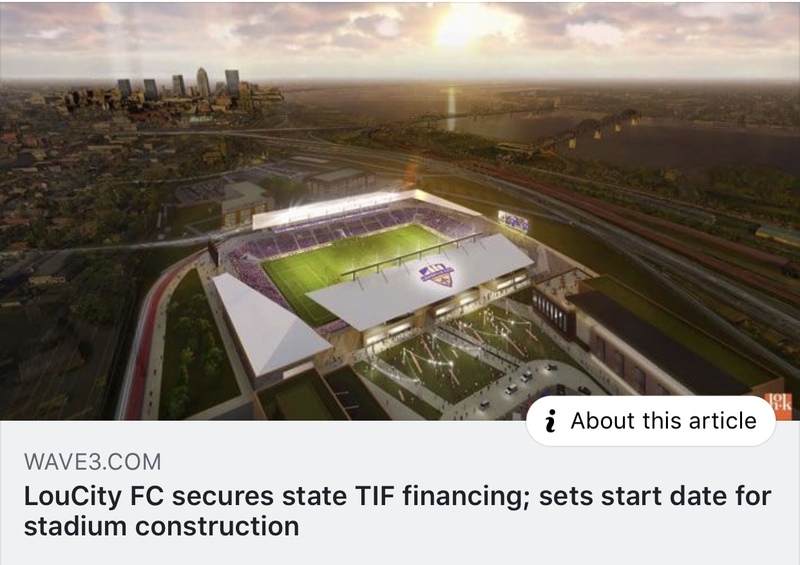 Now I know I am excessively critical of government spending, but I think we should be demanding more transparency on these matters. I feel my industry was unfairly targeted. I feel that all laws should be equally applied or not at all. And picking 17 random industries to tax seems unfair not only to us, but to you as a consumer. 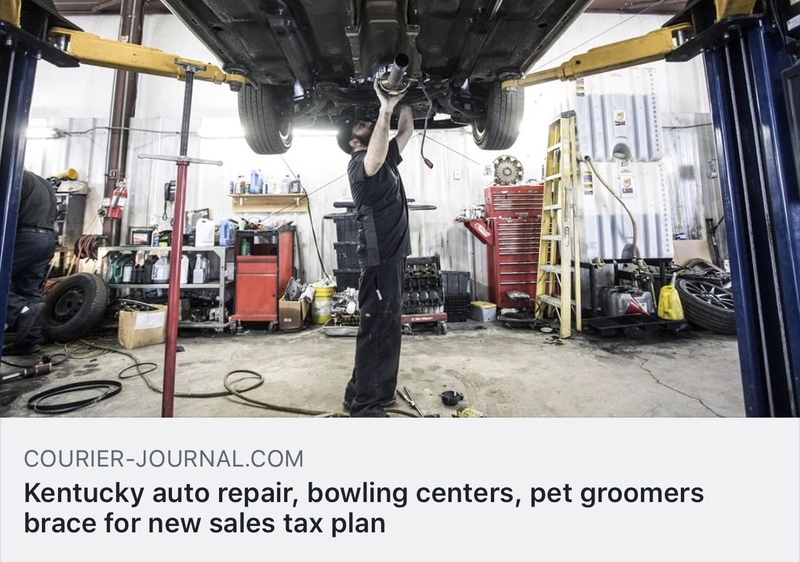 The state says they tax things like cigarettes to deter people from smoking… so why are they adding a tax to pet grooming and auto repair? So what does this mean for us as Blessed Little Grooming Company directly? This means beginning July 1st your grooming costs will increase by 6% plus. There are two ways for businesses to collect sales tax. The first is what many of you are use to, an added total on top of retail price. 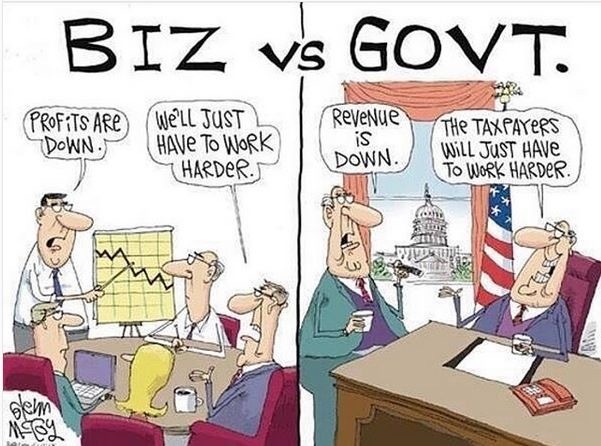 But for me it is easier to embed sales taxes, like is done with gas prices. Gasoline prices include sales and excise taxes usually around .44¢ of your gas prices in Kentucky are taxes. But for accounting purposes it’s easier for me when dealing with cash to use whole numbers. 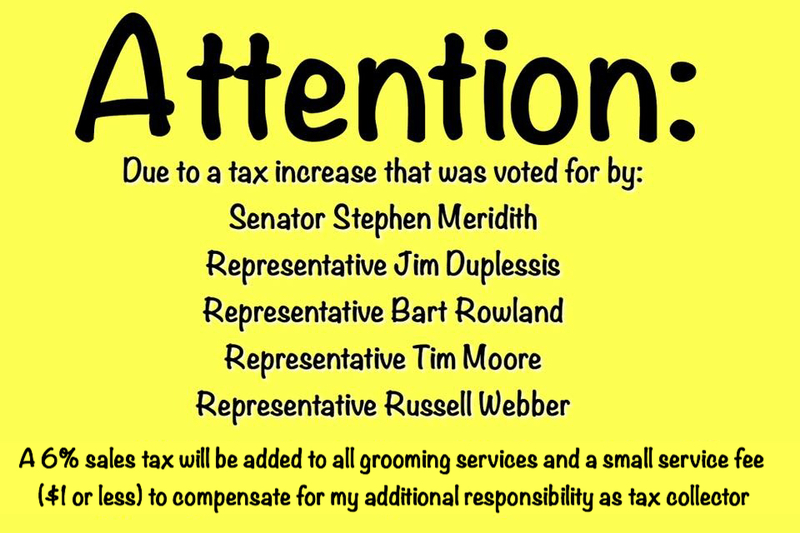 Like I currently do with my retail, taxes will be included in your grooming price. So if your grooming is regularly $45 it will now be $45 +2.70 tax + .30 price increase to make the total $48. (Yes I am aware of the extra .018 off set). This will make my bookkeeping easier and make it easier for clients. It will also compensate me for my time to do all of this extra work to collect and manage taxes for the state. And extra responsibility I don’t have time for.